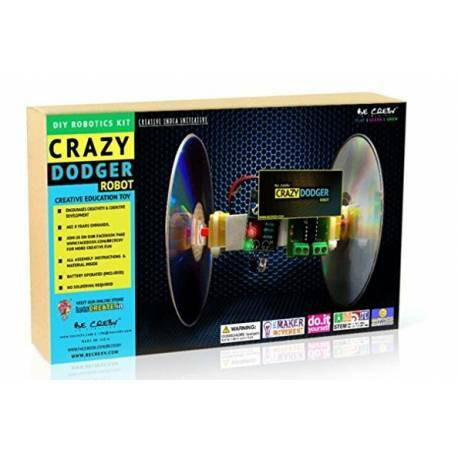 Crazy Dodger DIY Robotics Kit is great for teaching kids about making, working with basic electronics, understanding sensors and thinking out of the box with minimalist “Robot” Design using everyday objects like CDs etc. The ‘Bot’ moves crazily and dodges itself and any obstruction, its super fun to make and to watch it work. Not only that, it's amazing fun to play with and learn with. 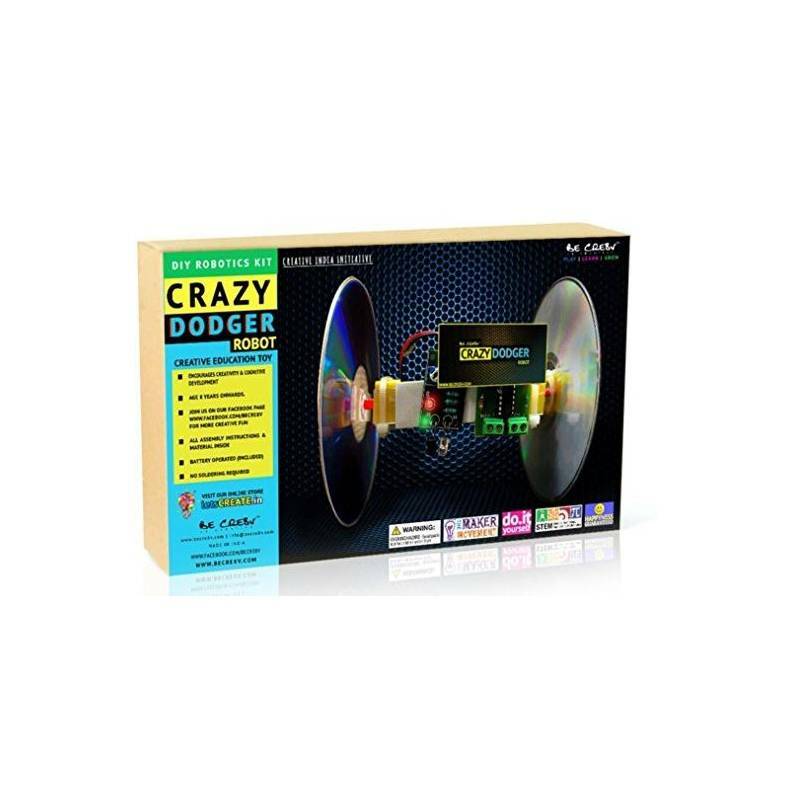 The kit comes with the parts you need to build your own Crazy Dodger Robot. It's an easy to make, fun to personalize, and a great parent-child project. Can be taught to many different age levels, and is perfect for classroom, parties, and an ideal birthday present. Become an inventor with learning through this kit. Happy making!